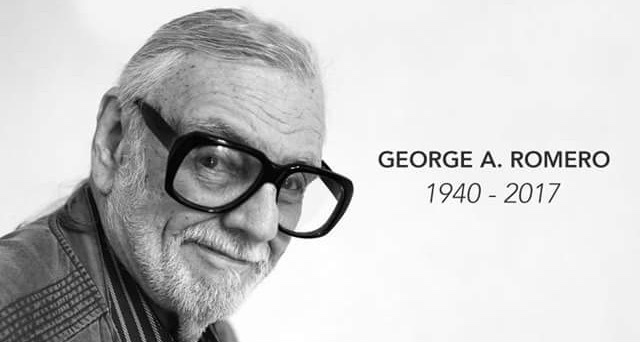 GenreOnline.net: Remembering George A. Romero. A year ago a man passed away. For years I argued that George Romero was an Master Filmmaker and people just shrugged it off, but I was proven right by the great resurgence he had at the tail end of his career and even got to interview him during the time when Land of the Dead was about to be released for the first time on DVD. Often copied, but never equaled and always ahead of his time as well as a true artist, I love George A. Romero and miss him, but I am thankful by the body of work he left us and it's insights that are beginning to be understood by others now. I feel very blessed to have talked to him, interviewed him and even made him laugh. George was more than a hero and filmmaker to me, he was a human being. A truly great one at that. Thank you George and thank you all. R.I.P.